How Do You Decide Whether a Robot or a Human Is Better Able to Handle Certain Processes? 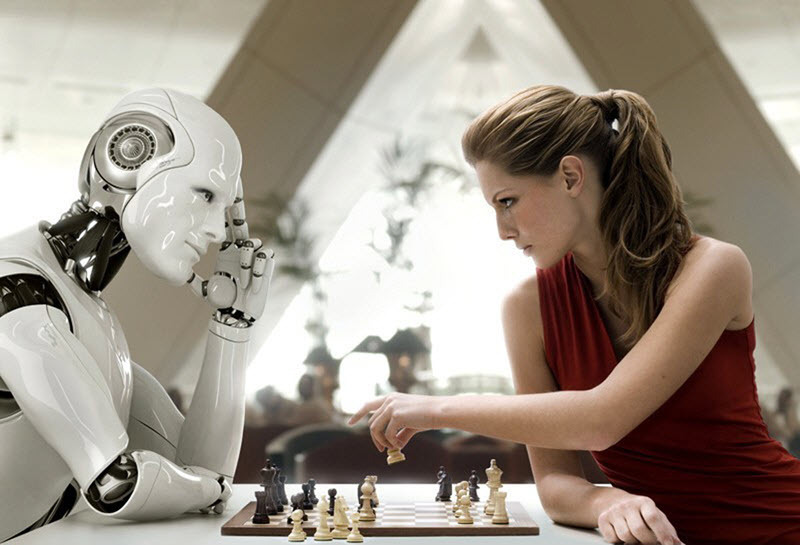 Resolved How Do You Decide Whether a Robot or a Human Is Better Able to Handle Certain Processes? Very simply, how do you know if a human or a robot is better able to deal with certain processes? I don't see "robot processes" or "human processes". I see processes with several tasks, some can be performed by robots, other by humans. In this context, my main criteria is how many soft skills are needed to complete certain task?. If it is a formal task that you can explicitly define and perform, a Robot could do a good job. On the other hand, if it is a task in which you need creativity (innovative processes? ), or empathy (complex business situations? ), or using your hands (health care? ), etc; a human being is much more better. In my book there is a practical process pattern "Man & Machine" (M&M). This pattern decides dynamically "can a machine do this particular work?" If not then a man to do this work else go to a machine. And, after each man's work, the pattern learns how to do this work without a man. So, any next time, a machine will do this work. "In my book" but also implemented in reality? I remember that this logic was used for programming tic-tac-toe "robot" - after all possible variants of game were recorded, the robot started playing better than some humans. If a subjective decision is needed to advance a process, then you need people. Silly question, just like the 'man & machine pattern' approach. A pattern does not make any decisions! It is not a decision to be handled dynamically as the decision who should make a decision is not a runtime subject but it is obvious. If decisions can be automated make it an application. If it needs human decision making then pass it to the human with the right skill and authority. If the 'process' is a mix of both then a decision can be defined through a rule or it can be passed to a human. Human decisions will ALWAYS be better, but not necessarily cheaper which is a main problem why businesses want robots. Dehumanize to save costs. If a man decided "2+2=4" then a machine can learn this and repeat it next time. Why is it not dynamic? Such knowledge can be collected in various instances. "Human decisions will ALWAYS be better" - a bit idealistic.... a human may be (slightly) sick, stressed, disturbed, etc. Since when is 2+2=4 a decision? "Since when is 2+2=4 a decision?" Let us adjust this --- If a man did once "2+2=4" then a machine can learn this and repeat it next time. LOL @ "human decisions will always be better". A process is a series of tasks and as such I would have concerns if a robot could be relied on to undertake safely. Yes a task which is repetitive requiring no thinking is possible in which case decision based upon cost savings and efficiency improvements. I see computers undertaking intelligent actions within a business process to help users make quicker and better decisions but humans always in control to deliver the required outcome. Nice emphasis on "decisioning", i.e. processes enhanced by, say AI. To automate or not not automate. That is the question. Whether 'tis nobler in the mind to throw workers on the street, erm, uh maybe I should leave politics and Shakespeare out of this. A decision to bring in a robot is a decision to automate. We have a use case (the software or hardware robot CAN do the job, a business case (over time, robot costs are lower than labour costs) AND I have investment capital for the project. Two comments, relating to the use case and the business case, in turn. 1) USE CASES AND TACIT KNOWLEDGE -- Whether we can automate or not is trickier than it seems. Because, as we have often emphasized in this forum, "tacit knowledge" ( let's start with "known unknowns" ) is often an important part of any process. And management by necessity relies on tacit knowledge perhaps more than it realizes. This issue comes up not only in questions of automation, but also concerning "redundancies" -- i.e. layoffs of older, more expensive staff, in favour of younger, less expensive staff. As well as being a public relations risk, many corporates have found problems as a consequence of the loss of skilled senior staff. Some robotics use cases are crystal clear. But one should be careful concerning complex work processes where hidden human judgement is not easily codified. The loss of skilled staff is a risk. Perhaps one ends up with a shell of an organization which only survives on the strength of scale and algorithms, perhaps more easily copied. Can you really encode differentiation? 2) BUSINESS CASES AND PRODUCTIVITY ECONOMICS -- An asset is hired insofar as the asset produces marginally more than its full costs. This makes the business case. Unless you are Amazon etc., most organizations are asset price takers and product price takers. For this reason, your industry business case for automation will probably affect all players in your industry simultaneously. You be an early adopter or a laggard etc., depending on your corporate culture and risk profile. An example in the process-driven fast food industry is government determined minimum wages. We are seeing evidence now of accelerating automation of fast food operations, in response to higher minimum wages. And all fast food organizations are equally affected in any given jurisdiction. Use case and business case may be sending opposite signals. Everyone in a given industry might be automating with robots (software or hardware); the savvy executive's job is to know the unique circumstances of a given organization, as to why one's own use cases may be different, especially if one differentiates on tacit knowledge-rich human-driven services. Dilemma between automation and manual execution is always a challenge for correct management decisions. It is not easy to decide, if an investment to automate a process will bring sufficient benefits and returns, especially, on a long term. However, decision here should not be voluntary. There exist simple and reliable criteria to clearly distinguish relevance of process automation in every practical case. The criteria is process volatility. Volatile processes are difficult and impractical to automate. Volatility of the process is easy to measure. Record multiple execution paths of the process. Build an average execution path. Measure deviations of each execution from the average. Measure volatility as median of these deviations. This will give uniform and universal criteria for processes of any nature and scale. As a rule, volatile processes appear in new and actively developing business areas. With time, these processes become a routine and acquire better formalization. When formalization grows and volatility drops below certain level, it is clear evidence that a process is mature and stable enough to automate. Robotic Process Automation is a class of programming (Business Process Management Software) that reproduces the activities of human working computers so as to run business forms. Since the product 'robots' mimic precisely what the human administrators do the fundamental frameworks, for example, ERP frameworks, CRM frameworks, and Office applications work precisely as they generally have managed with no progressions required. Furthermore, in light of the fact that the licenses for the robots are a small amount of the cost of utilizing somebody, and additionally having the capacity to work 24×7 if require be, the business case from a cost perspective just is extremely solid. You ask the robot. Obviously.